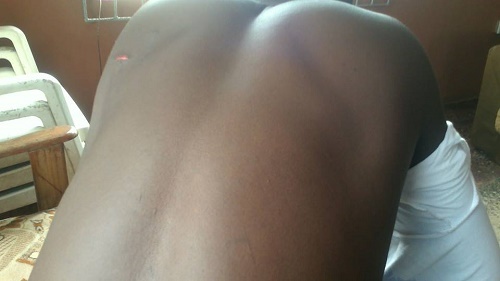 People have been left in serious shock after a Nigerian man was spotted being dragged on the back of a police van in Benin. 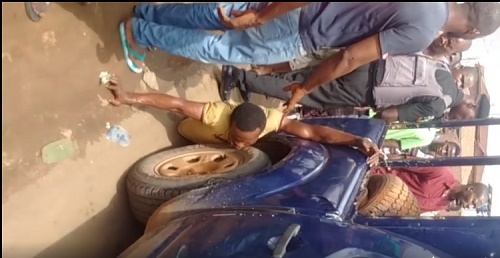 Some alleged Nigerian policemen have been caught dragging a young man chained to the back of their hilux car along the road. 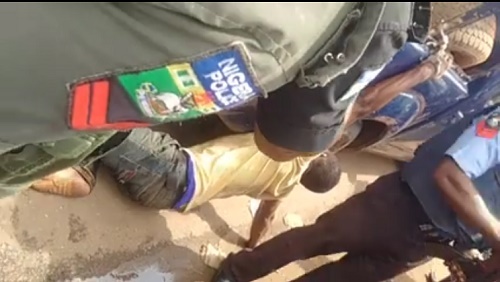 The officers allegedly arrested some other Nigerians who pleaded with them to not to drag the chained man on the road. 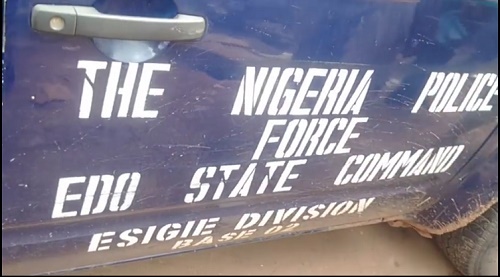 Instead of listening, the police officers reportedly descended on them. 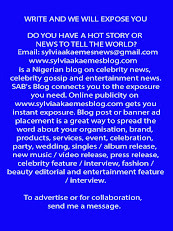 Irabor Franklyn wrote: "I and so many others where brutalised by men of Nigeria Police Force Esige Division. Just because we pleaded with them not drag a young man chained to the back of their Hilux Van along the road. "This happened on morning Sunday May 15th 2017 between 1st East Circular Road And Sopkonba Road Junction, Benin City.